Principal Advisor Access and Inclusion Unit, Amy Ambagtsheer. As the world marks the International Day of People with Disability on 3 December, SA’s Department of Planning, Transport and Infrastructure will change the name of a key department to better reflect its values in this area. The Disability Discrimination Act Unit will be renamed the Access and Inclusion Unit. The change puts the focus on dismantling barriers that people with disability can face, which is vital in the work DPTI undertakes. 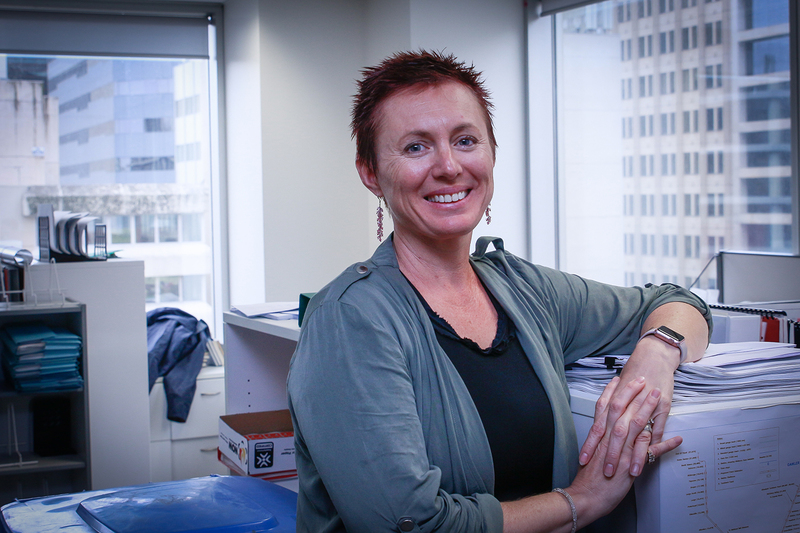 DPTI’s Principal Advisor Access and Inclusion Unit, Amy Ambagtsheer says access and inclusion are fundamental to the organisation’s operations, both for staff and the community it serves. “We support inclusivity and accessibility in the workplace through frameworks, policy, consultation with the disability community, and training such as disability awareness,” Amy says. Internally the focus is on making the workplace disability accessible and respectful, and educating staff on providing and maintaining a safe, useable and inclusive environment. DPTI has developed a diversity and inclusion framework which involves a Steering Committee and Communities of Practice and offers oversight to make sure the department’s goals in these areas are successfully and practically delivered. “We also play an important role in improving accessibility in the community by developing, constructing and maintaining infrastructure, built environments and public transport across the state,” Amy says. “Many people who don’t have disability mistakenly think it is a person’s disability that is the barrier but this is absolutely not the case.